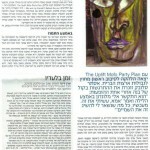 Many thanks to Shalhevet for sending me these scans and providing the following translation of the article. Very little of the Chili Peppers fans are aware of the Israeli relation of the band. Hillel’s mother Esther is a Holocaust survivor that ran away from Warsaw ghetto to Siberia and then to Israel. 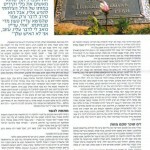 She lived in a Kibbutz where she met her husband Tommy Slovak. “The integration in Israel was very hard to me”. She remembers. “I was excited to be in Israel but I couldn’t find a job and I didn’t know the language. I moved to family relatives in Acre and from there to another kibbutz. I knew I had to leave eventually and because I had family in the U.S. we decided to move there“. “You know the phrase nice Jewish boy? That was Hillel. Before he thought about music he dreamed about being a ranger. He even was in an excellency program in school“. “He was crazy about my mom, his grandmother. Every time he got back from tour he came to visit her. Actually he made me mad only once: when he died. That’s when I found out he was addicted to heroin“. “Hillel got his first guitar on his bar mitzvah”, he recalls, “he took only a few lessons but one day he came home and couldn’t stop jumping from happiness. I remember he was yelling: “I have it! I got it!” since then he didn’t take a single lesson more“. “Hillel used to play everywhere, in the garage, in the bedroom, even on Passover Eve. Every person who heard him play said he plays like Hendrix“. “I asked my brother once if he understands that they are going to become one of the biggest bands in the world and he said: “yeah sure I know”. He was very excited about it. But the truth is that publicity wasn’t interesting for them. All they wanted to do was play music to blow people’s minds away“. In that time the friendship between Hillel and Anthony got deeper. Kiedis was attracted to the Slovak family cell and he used to spend a lot of time at their home. “Anthony looked at my brother like he was a super hero” said James, “He got inspired by him and his word was everything to him. He lived at our house and got treated like no place else. They went everywhere together: camping, the beach, girls“. “Anthony was the one who got Hillel into drugs“, says James, “At our house nobody took drugs, we even have alcohol allergy in our family. I don’t know if he was the first person who gave him dope but it was clear to me that his present brings bad news“. “Anthony was a scum, he used to steal stuff from my house and sell them to buy drugs. I used to say to Hillel that Anthony is a bad influence but he wouldn’t listen to me. He admired Anthony because he was everything Hillel wasn’t: wild, from broken family, bad person unlike Hillel who was a renaissance guy“. “I didn’t understand the drug scene, during the weeks before he died he looked bad and his hair was wrong, I thought maybe he is taking speed and I asked him and he said no so I believed him cause he never lied to me“. 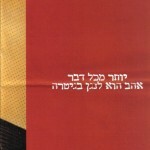 “Hillel already knew he will die early, he used to say it to my mom when he was a kid. He was alone to the world, something rare that could be here for limited time, talents like him are half a percent of the people or even less, he was a genius but even geniuses get addicted to drugs and die“. “Since Hillel died Anthony and Flea didn’t even picked up a phone to my mom and didn’t came to visit her even once. The only reason I find is that they are cowards and they don’t have the guts to look at my mom’s eyes ‘cause they feel guilty“. Wow, I wonder how true this is. I really hope Anthony and Flea get a chance to see this. I love the peppers and although I’ve never met them they’ve helped me and have touched my soul in ways I can not explain but know they understand. I’m a drug addict. I have been through some really hard times and I can honestly say I wouldn’t be there if it wasn’t for them and what Hillel helped to create. They’ve saved my life…given me hope…something to believe in. I believe they loved Hillel. I don’t believe hey haven’t visited or talked to his family because of cowardice. I can’t believe that. There is just too much love there. If that’s really how Esther feels I hope Ant and Flea get a chance to tell her how much Hillel meant to them. How much he and the band means to us, the fans. I don’t know what the future holds for me, or if there will even be a future, but thanks to the magic and love they brought into this world I’m still here today. I would have been long gone if they hadn’t created something real, something I never knew existed until they let me into their world. They changed the world for the better. Esther should know that and I know Flea and Tony would want her to know, if they haven’t let her know already. Thank you, Peppers. Past present and future. R.I.P. 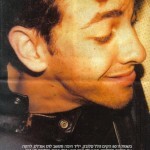 Hillel.